This Veg-It-Up white sauce lets you make all the meals you love without any of the dairy. Those with lactose intolerance often can’t enjoy pizzas, cauliflower cheese or carbonara because of the dairy content. 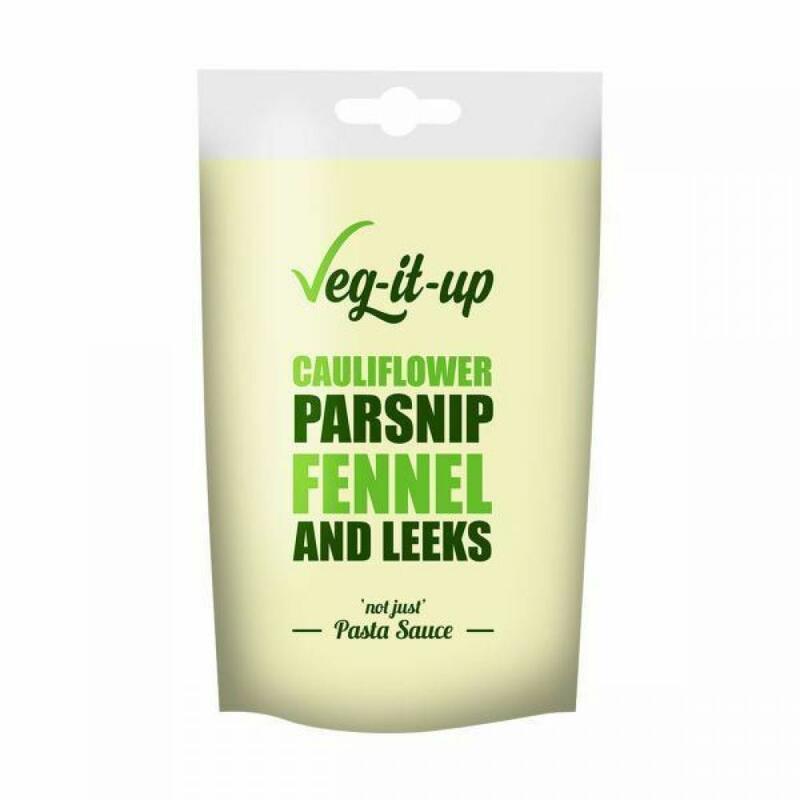 This sauce uses a vegetable based recipe; combining cauliflower, parsnip, fennel and leeks with other delicious seasonings for a lush sauce that brings flavour to any meal. As well as being dairy free, this sauce is also completely safe for vegans and free from palm oil. That’s why Vegging-it-up will help you look and feel fantastic, you’ll be blown away with how many veggies you can effortlessly eat in one sitting and love’em. Use in your favourite family meals to boost vegetable intake in a convenient and tasty way.